AD-LIT INC. / MILWAUKEE MAP SERVICE INC.
Ad-Lit Inc. 2017. 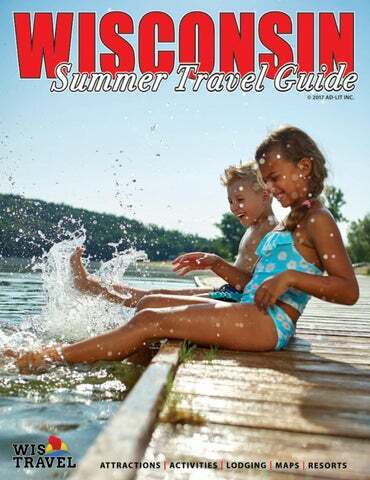 As you can appreciate, we have taken every precaution to ensure that the contents of the Summer Wisconsin Travel Guide© are correct and current. However, Ad-Lit Inc. assumes no liability for the accuracy of the information or representations/ delivery of services contained herein. America’s Largest Collection of Historic Railway Equipment. The Illinois Railway Museum is composed of over 400 Railroad & Transportation vehicles representing different aspects of railroading. Ride trolleys, interurbans and coaches on our railroad! 16 Ac res of Outdo o Garde r ns! © 2017 Super 8 Worldwide, Inc. All rights reserved. 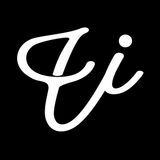 All properties are independently owned and operated. All aboard for a day of family fun with Thomas and Percy! JULY 8-9 & 15-16, 2017 Illinois Railway Museum Union, IL - McHenry County Take a train ride with Thomas, meet Percy, and enjoy so much more! FOR TICKETS: Visit ticketweb.com/dowt or call 866-468-7630 Day Out With Thomas™ © 2017 Gullane (Thomas) Limited. Thomas & Friends™ Based on the Railway Series by the Reverend W. Awdry. © 2017 Gullane (Thomas) Limited. Thomas the Tank Engine, Thomas & Friends and Day Out With Thomas are trademarks of Gullane (Thomas) Limited. © 2017 Mattel. All Rights Reserved. ® and™ designate U.S. trademarks of Mattel, except as noted. MORE EVENTS LISTED ON THE WEB SITE! live theatre, an award-winning water ski show, unique shopping, or dining at one of over 125 restaurants. Make us one of your favorite Wisconsin destinations. Join us for the 2017 Row by Row Experience! Row by Row Junior—just for kids! Introduce a child to the fun of sewing and quilting with patterns designed and written just for them. Check below for upcoming Junior classes to be held at Nancy’s Notions Retail Store. In 5 hours, get a sewing lesson, complete your own project, and go home with a brand new Baby Lock BL9 sewing machine. Baby Lock In these comprehensive courses, you will BL9 build your confidence and skills with step-by-step, hands-on sewing experience. Start by learning the basics of sewing and move to working with patterns and stitching techniques. Choose the PJ Pants or Pillowcase class as your first project. Sign y ou up to r kids day! Come see what’s in store 333 Beichl Avenue Beaver Dam, WI Open 7 days a week! Looking for a fun activity for your kids during the school break this summer? Sign them up for a week-long sewing camp at Nancy’s Notions Retail Store. They’ll learn how to operate a sewing machine and complete two or more projects to take home at the end of the week. Each class includes all supplies needed for the projects, including sewing machines. New projects each week. (Samples displayed in Retail Store). For students ages 10 and older. 10 a.m.–5 p.m. 10 a.m.–8 p.m. 10 a.m.–5 p.m. 11 a.m.–4 p.m.
U(a98612*NOKKRm(W May not be combined with any other discount, offer or promotion. In-store purchase only. Expires November 30, 2017. A1 Gypsy Villa Resort A REAL NORTHWOODS RESORT We offer you MORE! MORE individual waterfront with EACH Villa! MORE privacy, your own private pier & beach. An individual house (villa) – no common walls. Spacious grounds, pine and white birch woods, wildlife! MORE lakes – 28 connected, navigable lakes. On premise boat launch. MORE play area – tennis, volleyball, horseshoe court, game room, kiddie playground. A private boat for you. MORE Pontoon boats or ﬁshing boats. Screen porches, ﬁreplaces, TV/VCR, WiFi, fully furnished kitchens! MORE golf courses nearby – go by car or boat. Restaurants to boat to. Next to no mosquitoes end of June through October. Choice of an Island (100 acres) Villa or Mainland Villa. Some mainland houses available in winter. Connect with your People in Wisconsin Book early and SAVE UP TO 20% Visit ChoiceHotels.com/Wisconsin-hotels or call 1-888-228-5050 and get our Best Available rate. We know you expect a lot out of your stay. We expect a lot out of ourselves. That’s why we want to do everything we can to make your stay more enjoyable. Whether you’re traveling to Wisconsin with the whole family or stopping by for a meeting, we’re committed to making you feel more than welcome. Whatever you need on your trip, we’ll take care of it. Book your trip to Wisconsin at ChoiceHotels.com/Wisconsin-hotels to save up to 20%. Or call 1-888-228-5050 for our Best Available Rate. We’ll see you soon. Advance reservations required. Advance Purchase rate oﬀer only available online and cannot be combined with any other discount or oﬀer. Subject to availability at participating hotels throughout Wisconsin. ©2017 Choice Hotels International. All rights reserved. DOORCOUNTYNAVIGATOR.COM Your first stop on a great trip to Door County! Find the best in lodging, dining, activities, shopping! Trusted Videos & Reviews lead you to Door County’s finest. Download our FREE mobile app, Door County On the Go - Apple & Android devices. MT. OLYMPUS RESORTS offers a wide variety of locations within walking distance to Mt. Olympus. Each registered guest receives FREE admission to Mt. Olympus Water & Theme Park, with a private 10 acre water park and Night At The Park for resort guests only. 800-800-4997. See ad pgs. 2 & 3. COLUMBUS ANTIQUE MALL & M U S E U M . “Wisconsin’s Largest Antique Mall” 78,000 s.f. 222 dealers - 444 booths. Enter 8am - 4pm, 7 days. Museum: 2,000 Christopher Columbus Souvenirs from Chicago’s 1893 Columbian Exposition, 80 display cases & 300 running ft. wall displays. ATM on site. columbusantiquemall.com 920-623-1992 Phone/Fax. Buses Welcome. ROAD AMERICA. It’s fast family fun at Elkhart Lake’s Road America May thru September. Featuring motorcycles, vintage cars, IndyCar, World Challenge, IMSA Sportscars, Go-Karting and more. On-site camping available on public race weekends. Visit RoadAmerica.com or call 1-800-365-7223 for schedule. Youth 16 and under enter free. MID-CONTINENT RAILWAY MUSEUM. 55-minute train ride on board vintage equipment. Three departures daily June 3 through September 4. Weekends only May, September and to October 15. Gift Shop in Depot. Free parking & picnic area. From Baraboo take Hwy 136 west to Hwy PF into North Freedom. 800-930-1385. www.midcontinent.org See ad pg. 28. THE MINING MUSEUM & ROLLO JAMISON MUSEUM. Tour an 1845 Lead Mine. Ride a 1931 mine train. Tour exhibits of 19 th centur y life. Open Wednesday through Sunday May through October. Self- guided galleries open November through April, 405 E. Main St. 608-348-3301. www.mining.jamison.museum See ad pg. 10. MT. OLYMPUS WATER PARK & THEME PARK. Lose yourself in an ancient world as you brave four thrilling lands at Mt. Olympus Water Park & Theme Park. Forty-four steep and slippery slides. Five hair-raising rollercoasters. Seven curve-hugging go-kart tracks. A titanic array of attractions, wet and dry, for all seasons. 800-800-4997. See ad pgs. 2 & 3. *Departure times may differ during special events. Call or see website. MUSEUM HOURS: 9:30am–5pm on days trains operate Coach Cars: Adult $20; Senior (62+) $18; Student (13-17) $15; Child (3-12) $10; Ages 2 and under ride free. Caboose: Adult $22; Senior $20; Student $17; Child $12 Diesel Locomotive Cab: $60 Onboard Dining Tickets: Price varies by event Prices subject to change. Fares differ during select special events. Admission to museum is FREE! Free parking and picnic area. Directions from Wisconsin Dells to E8948 Museum Rd., North Freedom, WI 53951 Follow US Hwy 12 East to West Baraboo — RIGHT on Hwy 136 West for 4 miles — LEFT on Hwy PF for 2 miles into North Freedom — STRAIGHT at 4-Way STOP sign onto W. Walnut St. — Museum is 0.4 miles ahead on W. Walnut St./Museum Rd. Relive the romance of the rails with onboard dining events! Baraboo Area Chamber of Commerce and Visitor Center 600 W. Chestnut Street, Baraboo, WI 53913 | (608) 356-8333 | (800) 227-2266 Visit baraboo.com for a full calendar of events or stop by our Visitor Center for area information. Wisconsin Dells Lodge & Suites  254.1700 • 550 Hwy. 13 See more about additional locations at AmericInn.com. CHECK OUT THESE GREAT RIDES! Black Anaconda, America’s Most Thrilling Water Coaster; Time Warp, the World’s Largest Bowl Ride; and the spine-tingling new Scorpion’s Tail, America’s First Near-Vertical Looping Waterslide. Sign up now & ask about the benefits and start building your points! Make it the Best. Summer. Ever! at America’s Largest Waterpark with thrill rides you won’t find anywhere else like the Scorpion’s Tail, Black Anaconda and Quadzilla. And save with our family packages, season passes and free tickets when you stay at the Flamingo Motel & Suites. DELLSFLAMINGO.COM It’s the best summer ever in Wisconsin Dells! ALL NEW 4D EXPERIENCE IN 2017! NOAHSARKWATERPARK.COM 1-877-307-0342 OPEN MEMORIAL DAY THROUGH LABOR DAY.